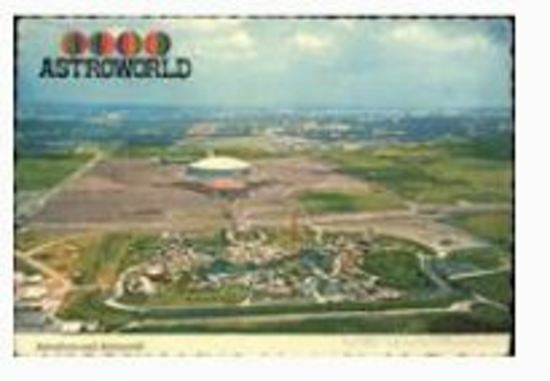 Signage, fixtures, collectibles and much, much more from the iconic Six Flags AstroWorld Amusement Park. Get a piece of history in this one of a kind liquidation of the largest collection assembled. Payment Instructions: Auctioneer will invoice all items at close of sale. Any payment not received will be charged to card on file two business days after the sale concludes without written arrangement with auctioneer. Buyer's Premiums: 10% 3% cash discount for cash, cashiers check, wire transfer or money order. Shipping Instructions: Local pickup in Houston, TX. Seller will ship items at seller's sole discretion if requested and will group items to minimize cost to buyer. Shipping will be calculated for entire purchase plus a handling charge. Checkout Date & Times: Local pickup available by appointment for 10 days after sale. All items remaining after that will be sent to the customer and shipping/handling charges will be charged to card on file without prior written arrangement at the seller's discretion. ALL ITEMS SOLD IN THIS AUCTION WILL COME WITH A CERTIFICATE OF AUTHENTICITY WITH A CORRESPONDING HOLOGRAPHIC IMAGE. CERTIFICATE WILL BE SIGNED BY THE PRESIDENT OF THE ASTROWORLD AMUSEMENT PARK AT TIME OF CLOSING WHEN THE ITEMS WERE TRANSFERRED TO THE PRIVATE COLLECTION. CERTIFICATE WILL BE PROVIDED AT TIME OF SETTLEMENT AND WILL BE VIEWABLE PRIOR TO THE AUCTION DURING PREVIEW PERIOD. All items will be available for preview from 9-4 on February 18-22 and by appointment by calling the auctioneer at 832-760-3334.